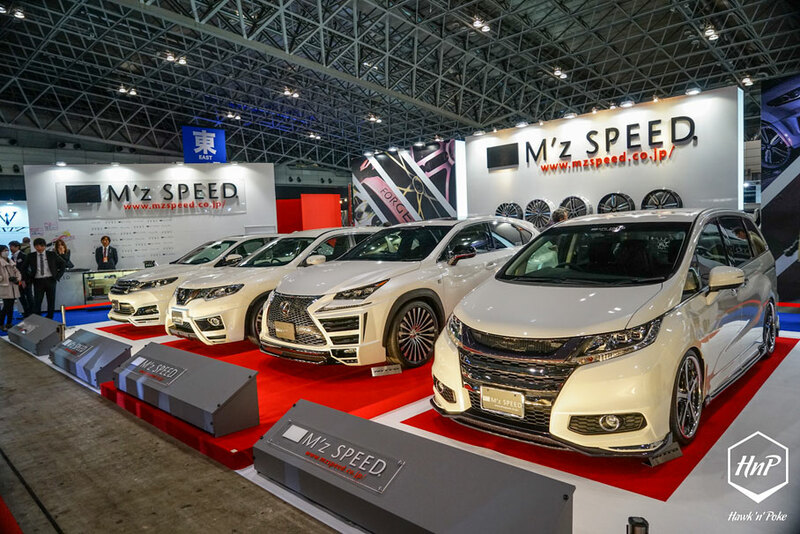 I’ve gone through all of Winston’s and Charles’ Tokyo Auto Salon captures and I’ve decided to pick some of the most head-turning and innovative displays for this article. 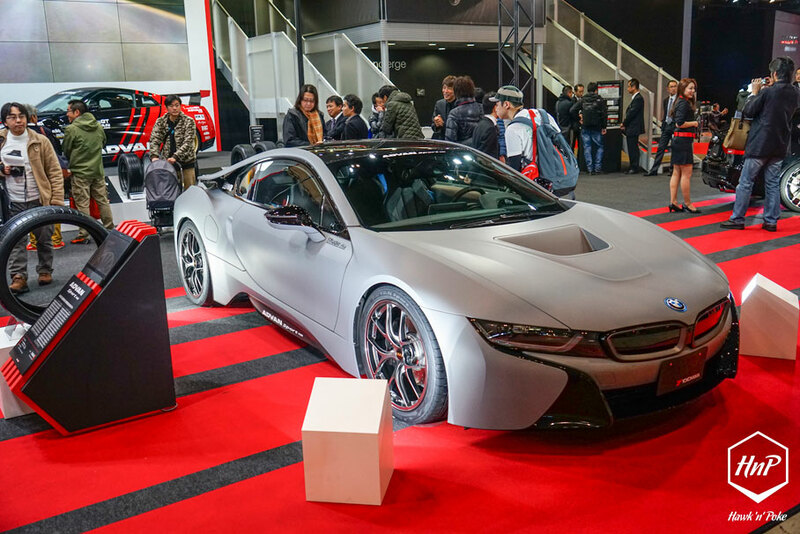 What’s the next big thing from Japan for 2015? What are the influences that they’ll bring to the worldwide car cultures? 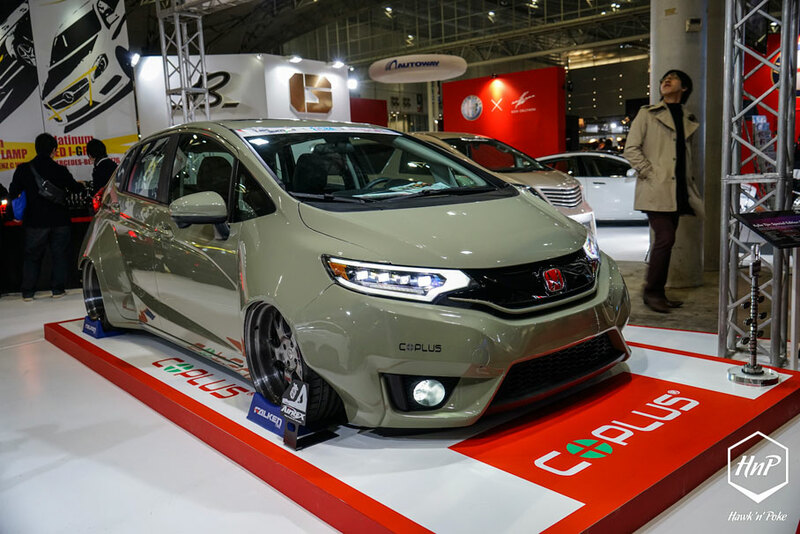 Held at the earliest time of the year, which is January 2015, TAS presents a unique opportunity for both domestic and overseas tuners alike to showcase their wildest innovations for 2015. Here’s a brief look at some of our picks. 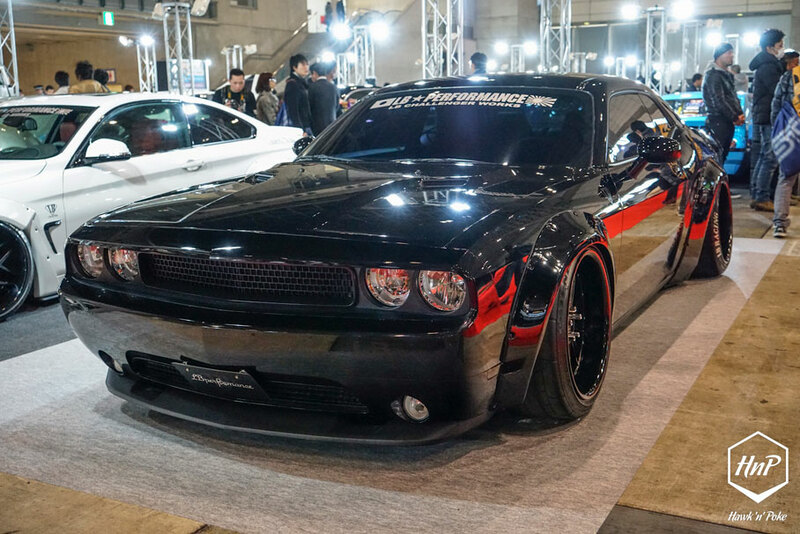 “Widebody-everything”. The popular aerodynamic kit trend of 2014 is still going strong for 2015. 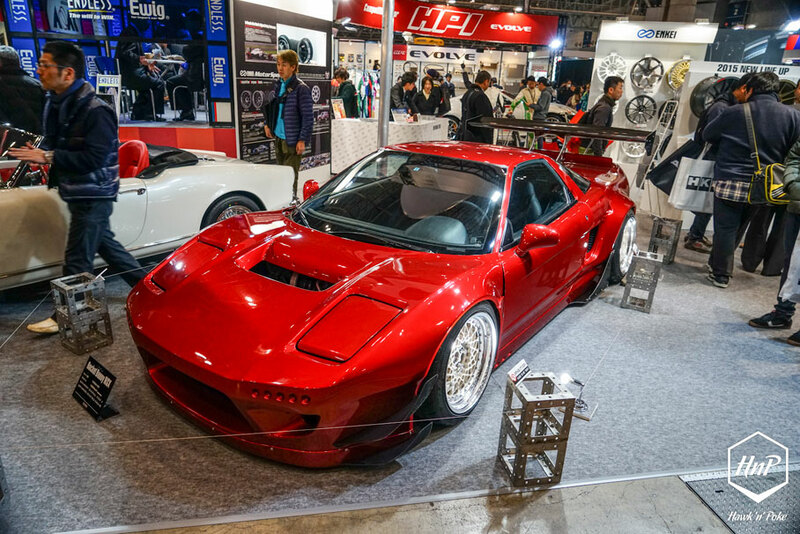 We’ve walked through all of the Tokyo Auto Salon’s 11 halls and never a second did we have to miss widebody creations. 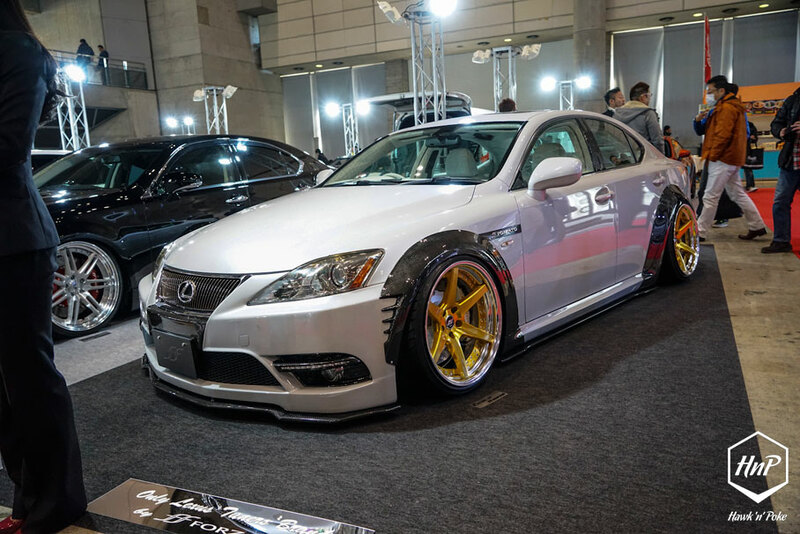 From elegantly tuned sedans to the most outrageous racing-themed builds. 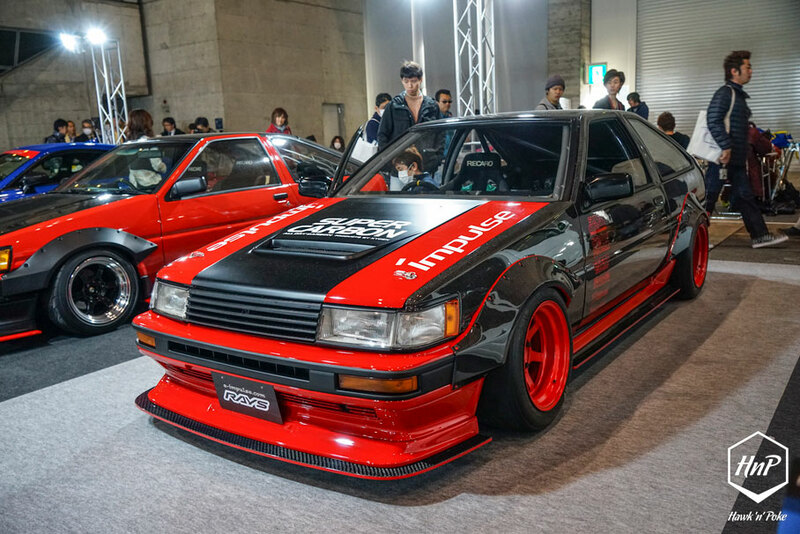 What caught our eyes the most is this Impulse carbon fibre AE86 below. 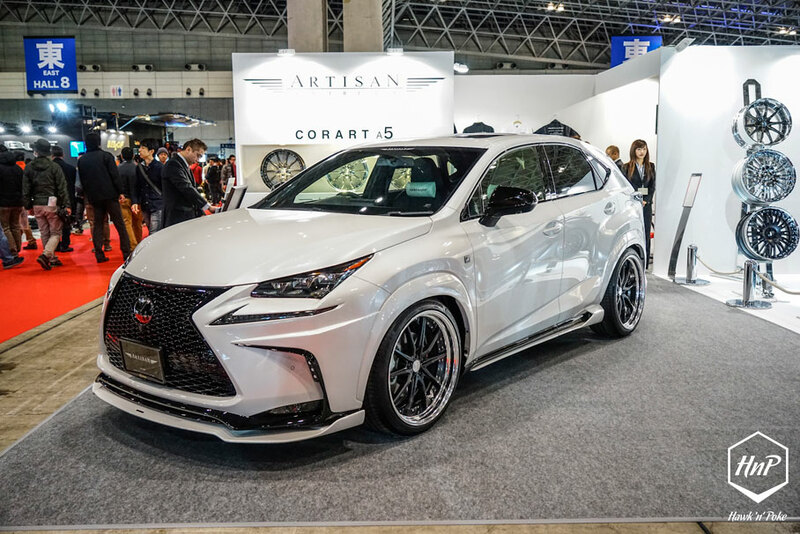 Built using the same carbon fibre technology as the ones in Formula 1 cars and the ultra-exclusive Lexus LFA, this car represents best-of-the-best carbon weaving technology under the silhouette of Japan’s most famous automotive icon. Weighing at only 735kg, I bet it’s a real joy to drive. 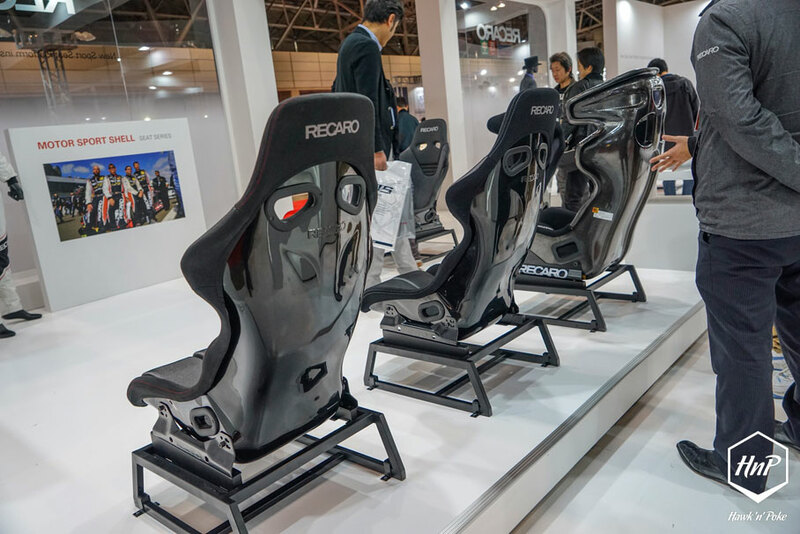 Then there’s the plethora of high-quality carbon fibre parts offered by Japan’s most respected carbon fibre producers. Such as Do-Luck with their mesmerizingly stunning carbon fibre GTR. Work Wheels’ booth was one of the most attention-grabbing in the European hall. 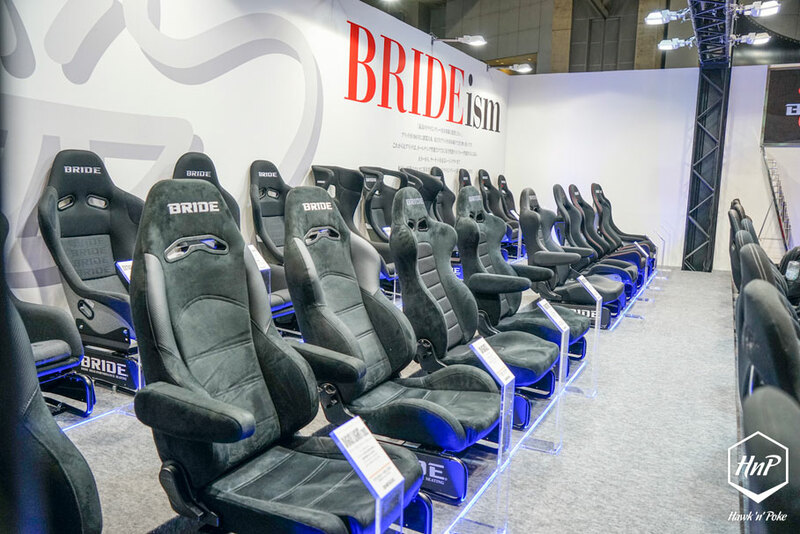 With a trio of high-end rides on the stage and endless configurations for their new 2015 product line up, it’s pretty clear that they’re planning to take over the world in 2015. Overtuned Lamborghini’s? I bet they’re not going to be big outside of Japan, but these wild creations are already quite infamous worldwide for their outrageousness. 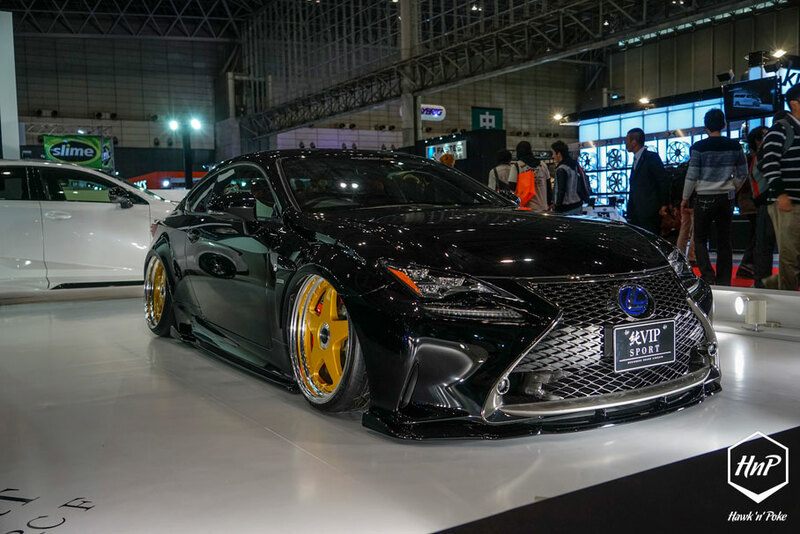 Lexus RC was one of the most popular Lexus platforms in the exhibition. 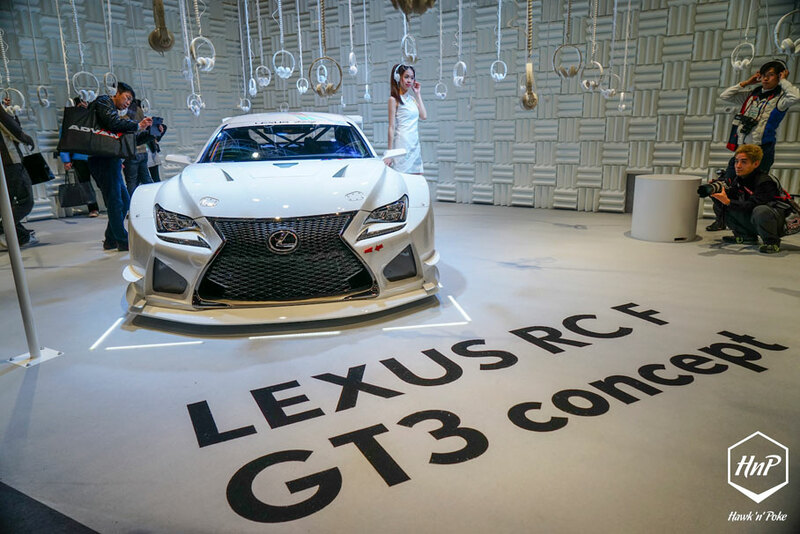 Hung from the ceilings of Lexus’ booth are recordings to their Lexus RC F GT3 concept exhaust notes. Knowing exactly how to entice enthusiasts, the RC F has been designed to outrun every other sports coupes out there. 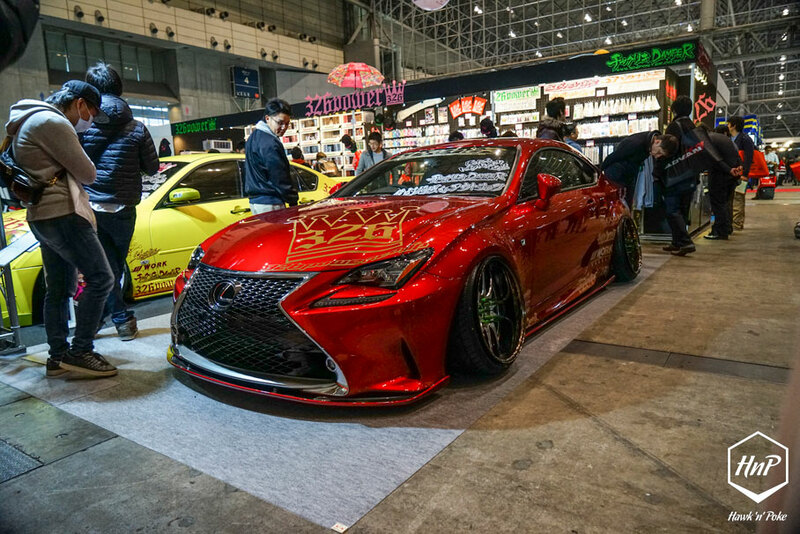 Then there’s the army of slammed Lexus RC at tuners’ booths. 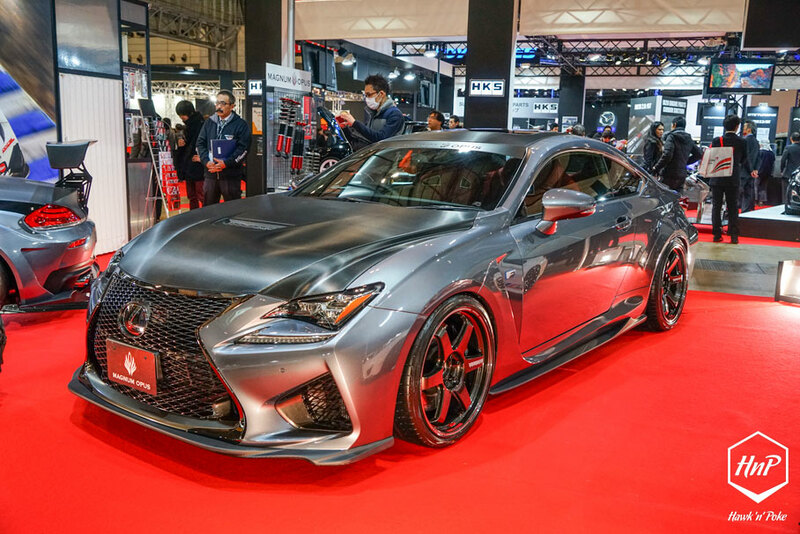 Yes, they’ve been designed off the factory floor to be the best highend sports coupe out there; with the RC F receiving Lexus’ special task in beating the M3 at its own game. All about performance. But what all these aggressive bodylines have also provided is a strong base for seriously good-looking slammed coupes. 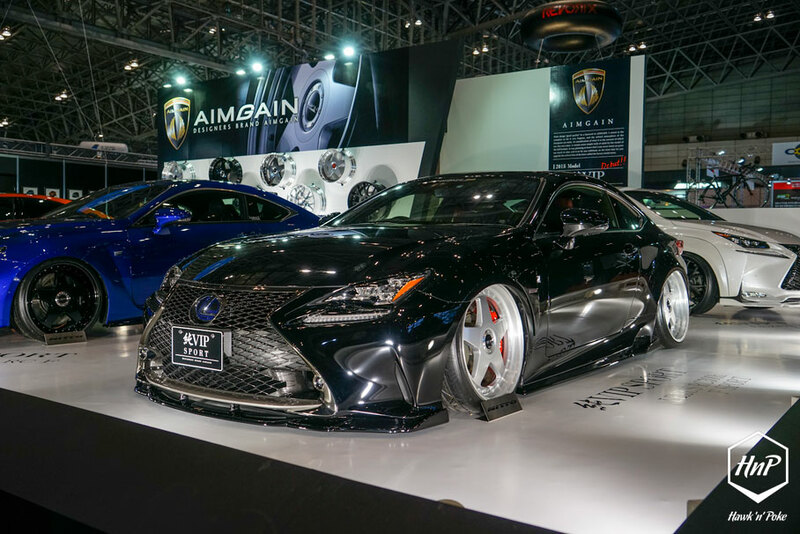 While many exhibitors were showcasing luxury-themed RC builds, Varis took the performance approach with their Magnum Opus-equipped RC F display. 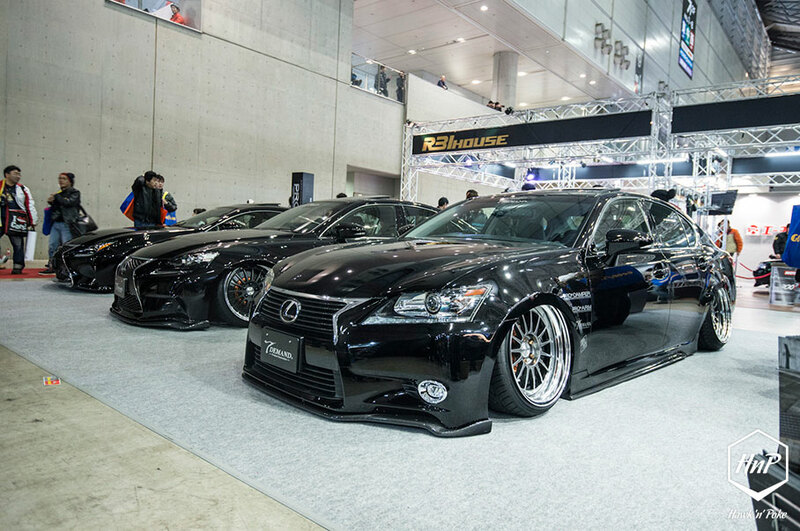 Keeping all things properly Japanese with the forged Rays wheels. At the other end of the scale is this wildly fitted RC at the 326power booth. All about style, all about taking things over-the-top. Take a closer look at the dual-caliper setup at the rears. Modified SUV’s are also a big thing in the TAS area. 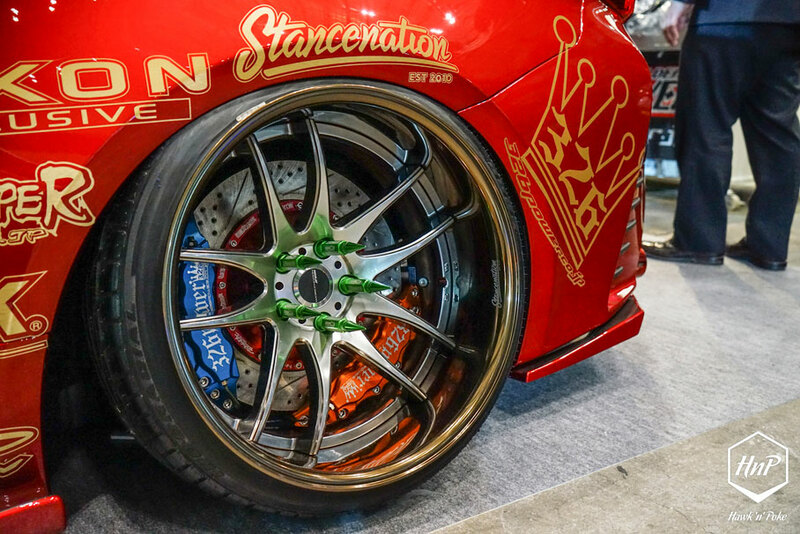 From newest Lexus NX to some other authentic Japanese people-carriers, these local tuners surely know how to dress their functional vehicles right. 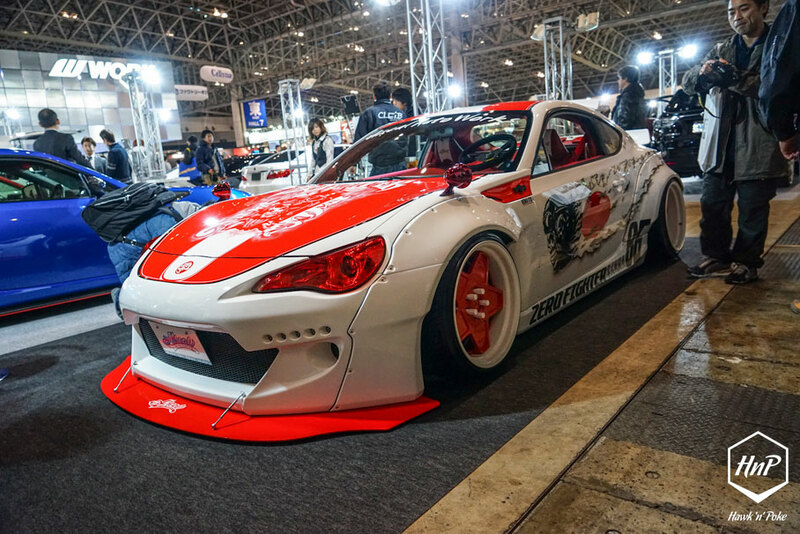 Then there’s of course the famous Liberty Walk booth. 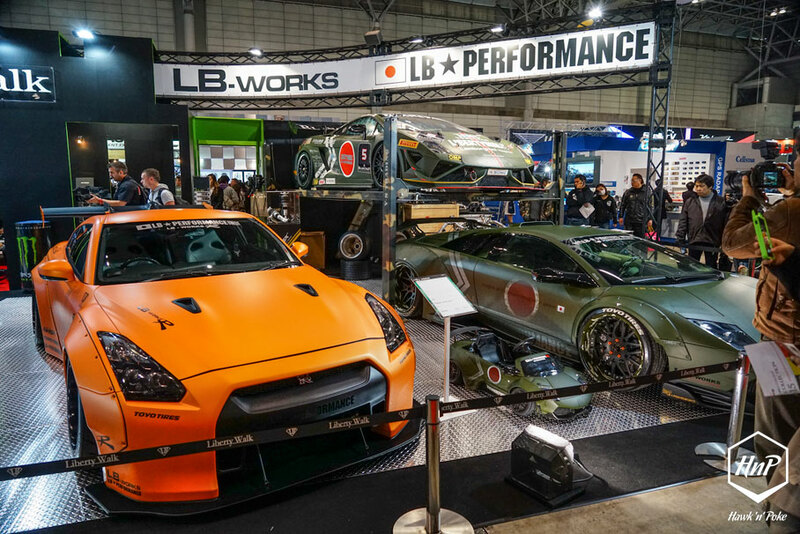 Showcasing their latest tough-look widebody builds alongside the LB Kids counterparts, their booth has surely attracted audiences from all ages. Pretty sure becoming the dream-cars for every kids who passed by. Seats. I’m really hoping that these very functional upgrades can become the next big thing for Indonesia. 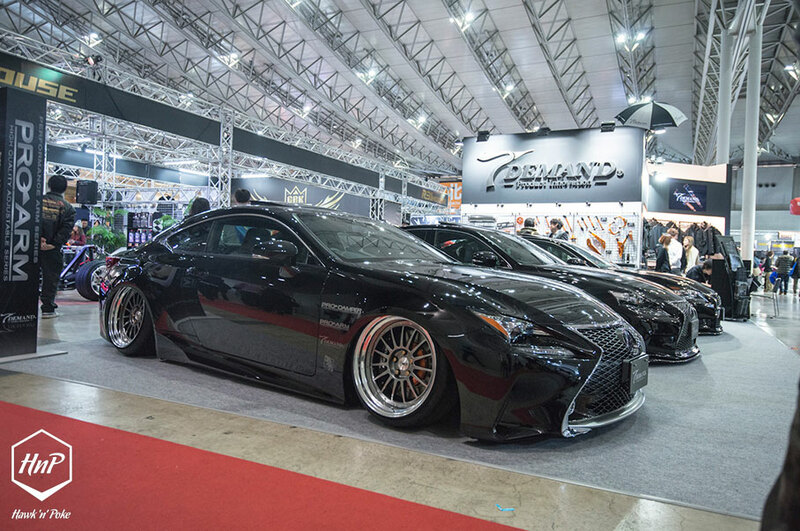 Right now we’ve been seeing plenty of world-class footworks- and bodyworks-oriented builds coming up from our country. Yet it is still a rare sight to find these very comforting and track-ready seats being fitted to higher end rides. Do you know that some of these even come with motorized adjustments and heating components? Ah, the city cars. 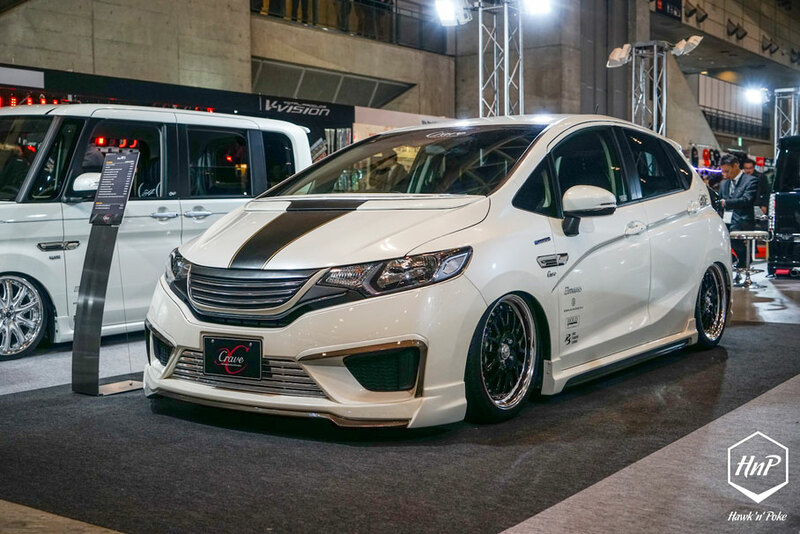 Despite being dominated by tuned performance JDM rides and highend European luxuries, we do still spot quite a few interesting parts designed for the city cars. Here’s a few that’ll surely inspire many of you out there. 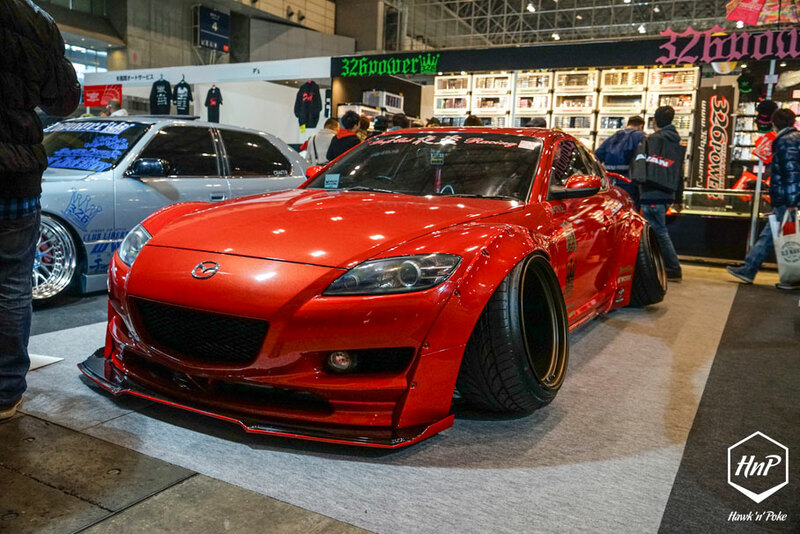 Wide and cambered. 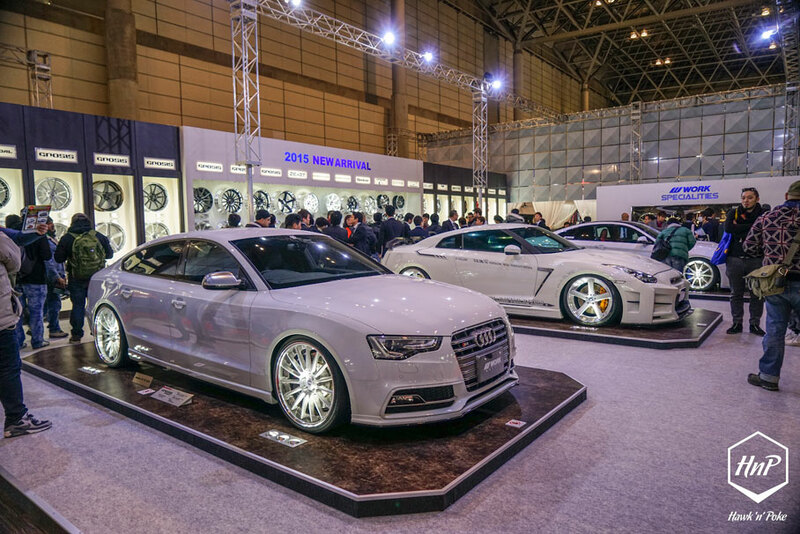 These things are big in 2014 and we’re likely to keep on seeing more of them coming from Japan in 2015. Tuning for hybrid/electric cars. The year of 2015 will surely show an ever growing number of performance-oriented hybrid/electric cars. 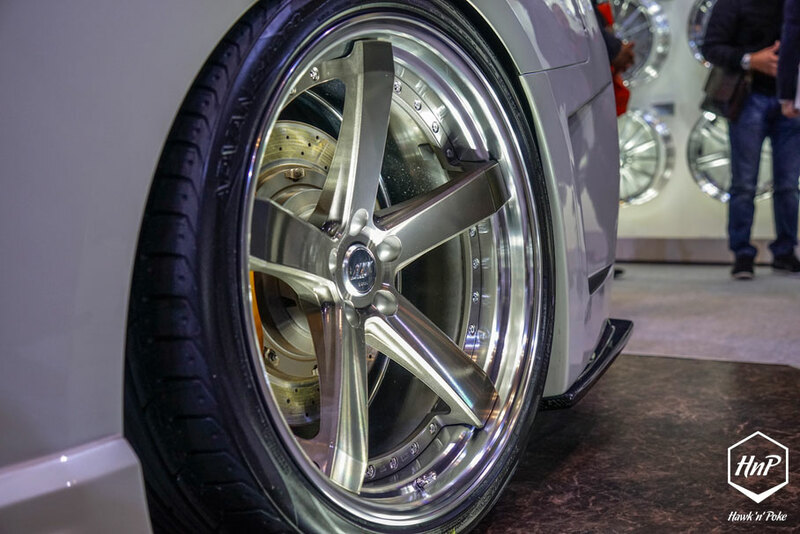 Along with the growth we can expect more and more aftermarket parts being made to keep up with the demands. RWB’s continue to have their strong charisma and authenticity. Not sure on what Nakai-san would introduce for 2015, but his workmanships will always be the most-praised in the industry. 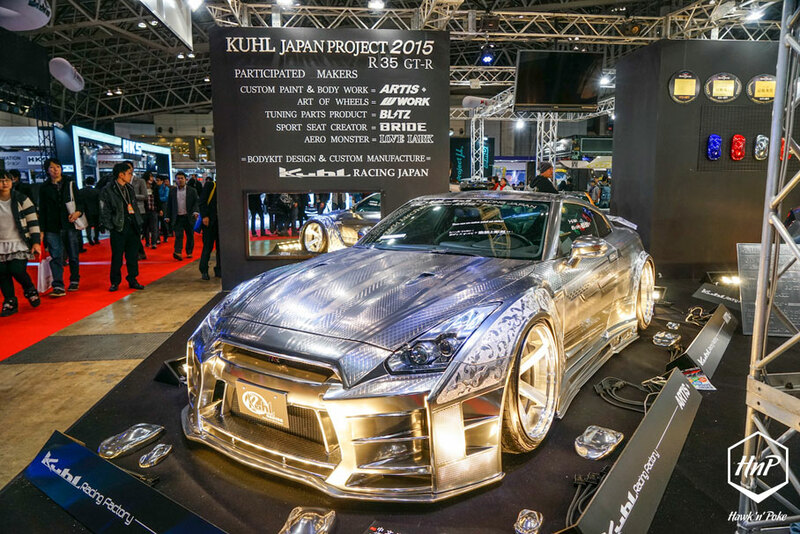 Kuhl Japan showcased one of the most famous GTR’s in the show. Painted not wrapped, their demo GTR introduces a very unique 3D-tattoo effect as you can see in the capture. 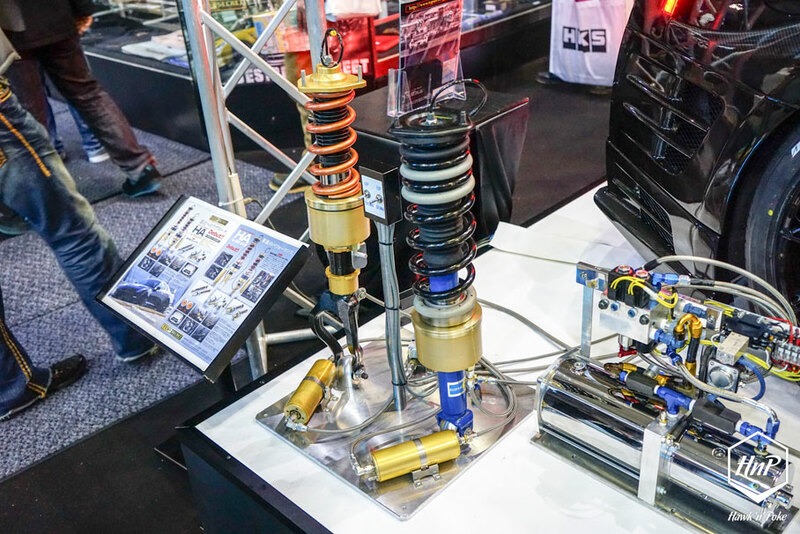 Also popular in the suspension tuning area are adjustable lift-kits for coilovers. Utilising perhaps air/hydraulic systems, such cups allow temporary vehicle height-lift through the simple push of a button. The best of both worlds. They’re still a little pricey though. I still have plenty more captures to be released to the site. Stay tuned.